"The school is highly successful in achieving its aim to provide its pupils the finest possible grounding in the core academic subjects and broaden their horizons"
Ashfold aims to give every child the firmest possible grounding in the core academic subjects, to develop their wider interests through the great breadth of our curriculum, and to ensure that they move on to their chosen secondary schools with the skills, values and habits that will enable them to thrive there. Above all, we aim to make education fun and to give children confidence. 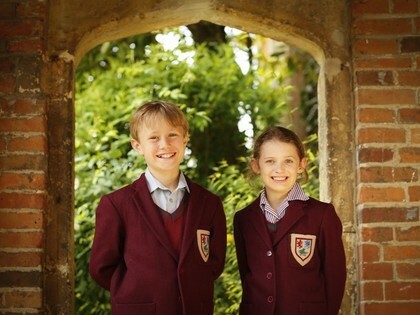 The education we offer boys and girls draws on the very best of both traditional and innovative teaching methods. Children are stretched by an academically demanding and exciting curriculum taught in innovative and creative ways where the focus is on children's learning. They are able to access a whole raft of activities from art, music, drama and games to cookery, fashion, fishing and shooting. Our aim is simple: To broaden their horizons and find something at which they shine. We celebrate their achievements and successes at every possible opportunity so that children's enjoyment, confidence and self-esteem grows. Ashfold is small, caring family community where the children know each other and all of the staff well. Assemblies, led by both staff and children, afford the time for us to think about our responsibilities towards others and to celebrate both individual and House achievements. This enables us to nurture and care for our children and for them to grow up to be confident and decent young people, tolerant of one another and clear about right and wrong.